Happy Saturday Mamas! It’s a rainy gloomy day here in Iowa so we’re having a lazy family day at home. Playing all the toys, snacking on all the snacks, and reading all the books. 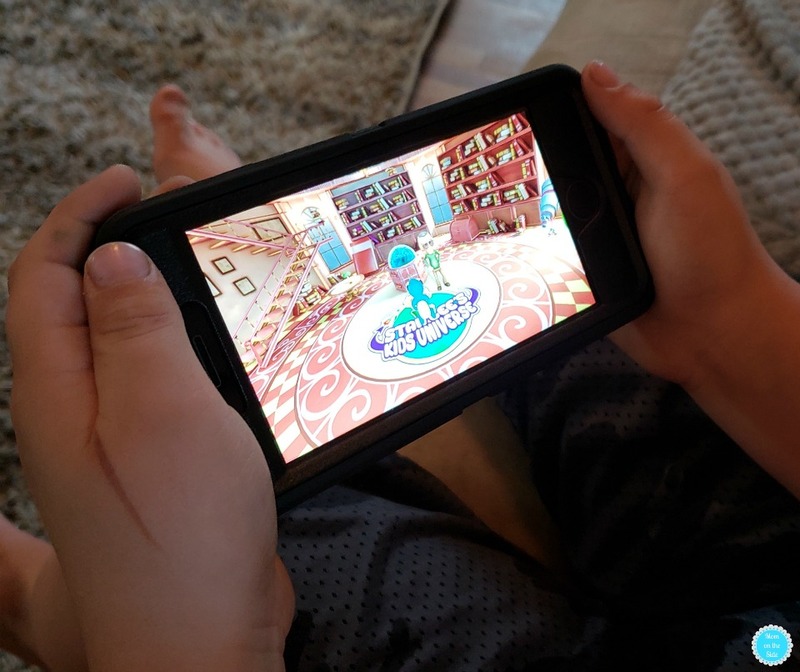 We love story time and game nights in our house and the twins are currently curled up on the couch checking out the newest character in the augmented reality game for kids, Playing Forward’s Stan Lee’s Kids Universe app! This is a sponsored post but any opinions about this app created by an Academy Award winner are 100% my own. 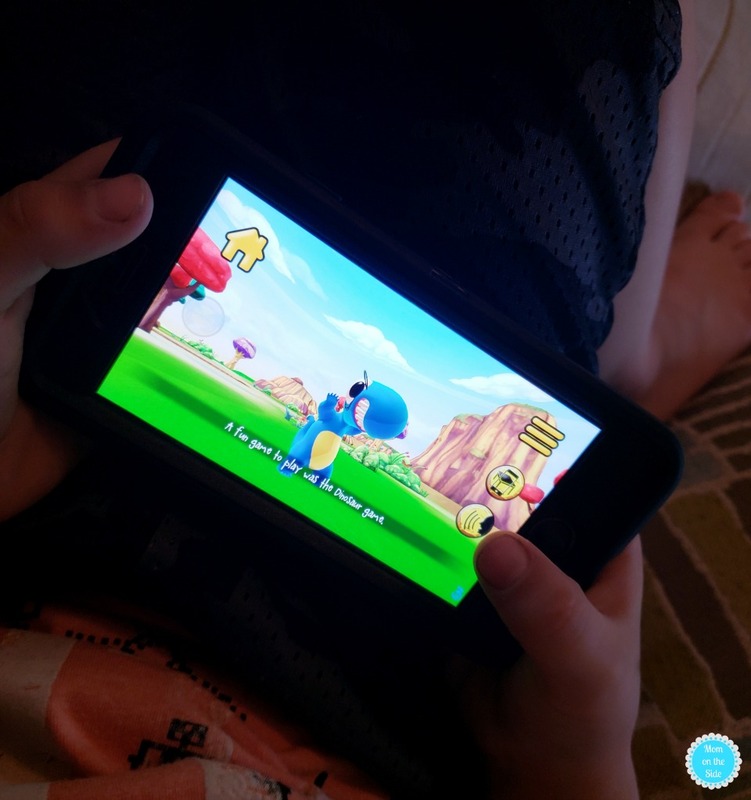 I don’t put a lot of kids apps on my phone or iPad, and they have to have an educational aspect to them when it comes to apps for my twins. Honestly, they get plenty of other forms entertainment on YouTube and Netflix. 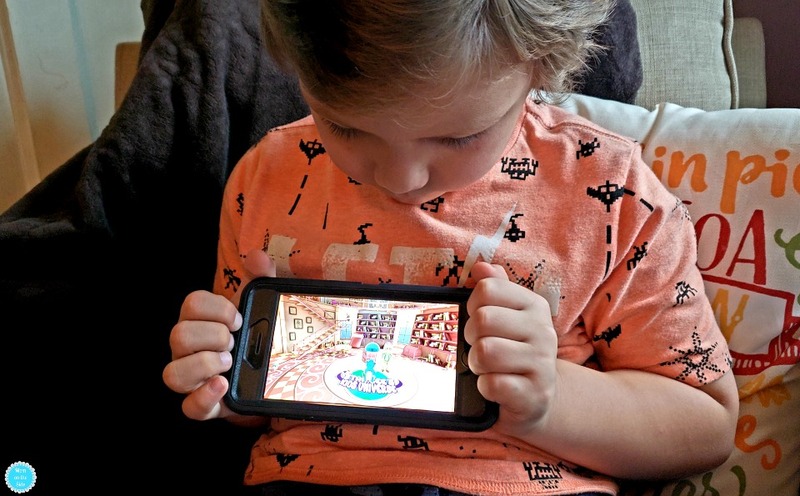 Apps like Stan Lee’s Kids Universe App which promote social-emotional learning through play are what I look for. Bonus, it has a super special storytelling experience! 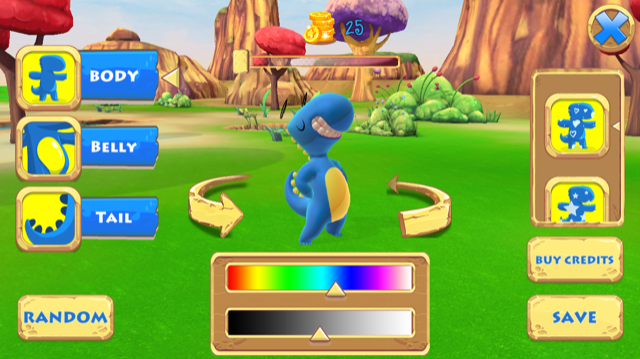 Dex T-Rex is the newest star of Stan Lee’s Kids Universe app and this small yet mischievous dinosaur sometimes doesn’t realize that his version of play is a little rough as he kicks, shreds, and smashes the world around him. 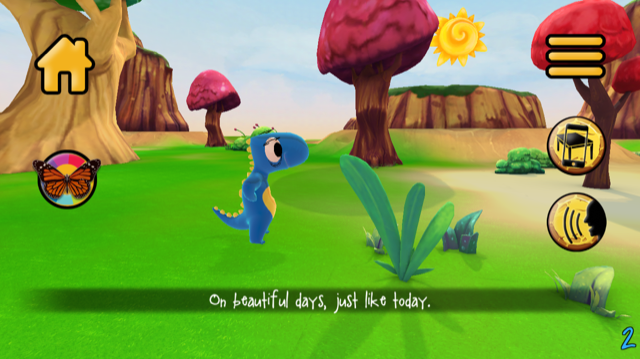 Through adventures with Dex T-Rex kids grow critical social skills such as understanding how their actions affect others. Plus, who doesn’t love dinosaurs?! A dinosaur you can personalize within the game! Moms, you’re going to love that Stan Lee’s Kids Universe story-based app can be experienced in three ways! One, as a “bedtime story” you can read along with in 3D. Two, listen to the story with audio and original music. Three, a much more active ”exploration” in augmented reality that brings Dex to play in the real world as he runs across tables and more. The options encourage kids to move around and experience the story from multiple viewpoints. With four kids, I’m not going to lie that I’m loving the read-along option because it saves my voice from having to read the same book at bedtime repeatedly. It also creates more playtime with the kids as we explore the story together, making storytime different and exciting! Learn more about the app and enter for the chance to WIN a Family Fun STEAM-Powered Weekend in NYC! The winning family of four will be provided with air transportation, a two-night hotel stay, Visa gift cards for meals, and museum tickets and personalized experiences at two of Manhattan’s most unique museums: – the Natural History Museum and the Children’s Museum of the Arts! Plus, the Runner-Up will WIN an iPad!